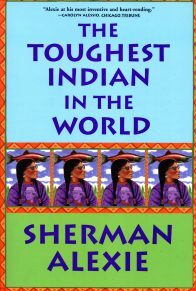 Sherman J. Alexie, Jr., was born in October 1966. A Spokane/Coeur d’Alene Indian, he grew up on the Spokane Indian Reservation in Wellpinit, Washington, about 50 miles northwest of Spokane. Approximately 1,100 Spokane Tribal members live there. Alexie’s father is a Coeur d’Alene Indian, and his mother is a Spokane Indian. 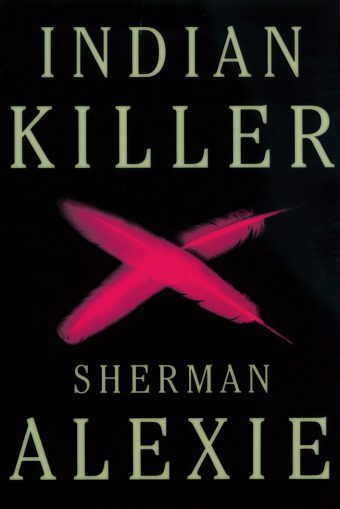 ANew York Times Notable Book and a national best seller, Indian Killer is arguably Sherman Alexie’s most controversial book to date—a riveting, gritty, racially charged literary thriller that, over a decade after its first publication, remains an electrifying tale of alienation and justice. A serial murderer called the Indian Killer is terrorizing Seattle, hunting and scalping white men and adorning their bodies with owl feathers. Motivated by rage and seeking retribution for his people’s violent history, his grizzly MO and skillful elusiveness both paralyze the city with fear and prompt an uprising of racial brutality. Out of the chaos emerges John Smith. Born to Indians but raised by white parents, Smith yearns for his lost heritage. As his embitterment with his dual life increases, Smith falls deeper into vengeful madness and quickly surfaces as the prime suspect. Smith struggles to find a connection to his past while seeking comfort in Marie, a student activist and Indian who is estranged from her tribe. But their bond is not enough. As tensions mount, Smith desperately battles to allay the anger that engulfs him, and the Indian Killer claims another life. 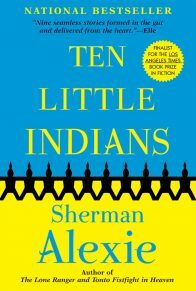 With acerbic wit and chilling page-turning intensity, Alexie takes an unflinching look at what nurtures rage within a race both colonized and marginalized by a society that neither values nor understands it. 1. 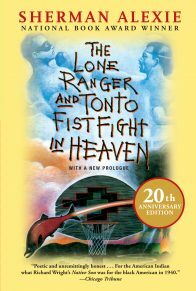 What is Sherman Alexie’s goal in writing this novel? Is it to shake complacency? In the white world? In the Indian one? It is a brutal, terrifying thriller, full of suspense. Do you find the violence justifiable? Credible? Is it far from what we read in the daily papers? 2. What are the different voices we hear in Indian Killer? How many different Indian voices do we hear? White ones? Are there common experiences among the different ethnic groups? Is it possible that fear provokes understanding? Talk about this paradox. Is there hope of real sympathy at the end? Or is fear just going to perpetuate the violence? 3. What is the power of the media in Seattle at the time of the novel? Without doubt, violence lures readers and listeners. How can freedom of speech and a need for responsible restraint in journalism be reconciled? Is it up to the individual writer or broadcaster? Can government impose restraint? Does it happen in this book? 4. Toni Morrison has said that race is the least important trait we can know about a character. Do you agree? Do we get acquainted with people in this book other than through the prism of race? Do the characters themselves determine how they are to be known? Which ones in particular? 5. Marie says that John was lost when he was born, “He had no chance. I don’t care how nice his white parents were. John was dead from the start” (p. 417). Do you agree? Was the die cast when he was helicoptered out of the reservation? As a young boy he noticed how much darker he was than his parents. Was it inevitable that he should from then on feel defective? Have you known mixed families where children had stronger identities, perhaps because of the diversity? 6. How are we introduced to a variety of Indian customs and beliefs? Talk about some of them. For whom do they seem to be most meaningful? For whom most elusive? 7. Judgment by some characters is harsh on those who try to be part Indian and on whites who claim to represent Indian history and literature. What is your view on the controversy? Should authors and teachers be limited to what is perceived as their “authentic” experience? (We think about critics who say Shakespeare could not possibly have written all those plays when he was not a woman, a king, a Moor, a Jew, a licensed fool . . . and so on.) Is it possible that writing and reading about the Other’s point of view is exactly one way to bridge gaps? 8. Abuse, especially paternal, is recurrent in Indian Killer. Do we necessarily connect it with later violence in the children? In which characters? Is some of the impetus for the abuse due to a father’s ambition for his child? 9. In this novel would you say that anger is at the heart of most characters’ behavior? Talk about the anger of Indians toward whites and whites toward Indians. Are there exceptions, people who are genuinely motivated by good? What is the result? 10. How are dreams and nightmares central to the book? 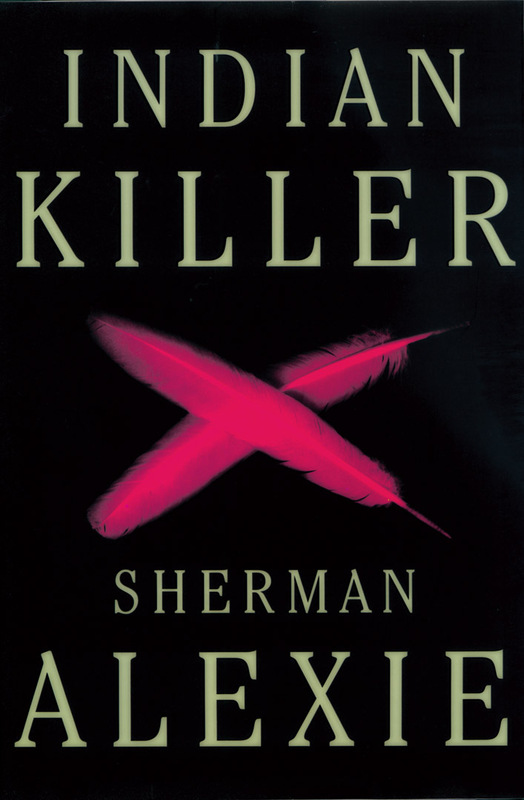 How does Alexie use dreams and nightmares to expand the world of Indian Killer? Describe his creation of time travel, a device he has used in other works. 11. “We are what/We have lost” (Alex Kuo). How does this epigraph before the beginning set a theme for the novel? Does it relate to both the Indian and the white worlds? Is it possible in the book to imagine a world blending both groups? 12. Talk about John’s isolation, his inability to make small talk with Marie or coworkers or the Pauls in the doughnut shop. Other than his weirdness, what are the clues that lead us to suspect John as the Indian Killer? Is a double life credible for John? (Marie thought “John was a little strange and quiet, but most Indian men were kind of strange and quiet” (p. 332). Even if he has the disease, is paranoid schizophrenia predictive of violence to others? Other than John, how many other characters are implicated through innuendo? 13. 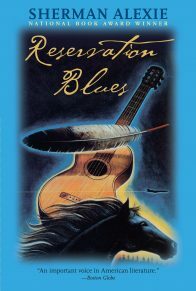 This novel has been compared to Richard Wright’s Native Son. What similarities do you see between Wright’s Bigger and John? Between Bigger and “the killer”? 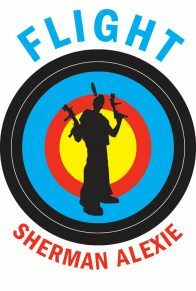 Are the racial tensions and furies of Wright’s book comparable to those of Alexie’s novel? 14. Humor is often an element of Alexie’s work. Do you see it in this book? We know that on the reservation of John’s birth, “The doctor has fallen in love with Indians. He thinks them impossibly funny and irreverent” (p. 4). Do you find humor in the book? Give examples. It’s often mordant, such as “You adopted an Indian kid and named him John Smith? No wonder he talks to himself” (p. 219). Is there hope that humor could forge links? 15. How are the casinos intrinsically ironic? Consider who owns them and who uses them. What is the poetic justice about the fate of Spud and Lyle? How are they hoist with their own petard? 16. Who is Marie? How is she a fulcrum in the novel? Talk about her insistent provocation of Dr. Mather. “For Marie, being Indian was mostly about survival, and she’d been fighting so hard for her survival that she didn’t know if she could stop. She needed conflict and, in those situations where conflict was absent, she would do her best to create it” (p. 61). 17. Why is Marie so sure that John was not the Indian Killer? We learn that Marie had boiling anger and vengefulness, even as a child (p. 34). She also has deep outrage about what has happened to Indians in modern life (p. 314). Do you think her fury is a logical response to Indians’ fate? 18. Talk about Reggie—his background and his behavior. What went into his life that eventually “he’d buried his Indian identity so successfully that he’d become invisible” (p. 94). Do you think he is a contender for chief suspect? 19. Dr. Mather, wearing a huge bandage on his head, puts forth his academic theory. “The Indian Killer . . . is an inevitable creation of capitalism. A capitalistic society will necessarily create an underclass of powerless workers and an overclass of powerful elite. As the economic and social distance between the worker and elite increases, the possibility of an underclass revolution increases proportionally. The Indian Killer is, in fact, a revolutionary construct” (p. 246). 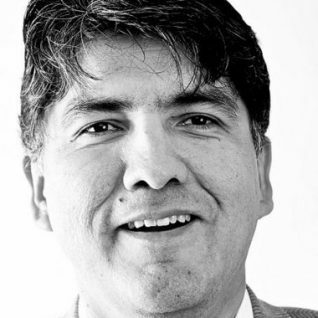 Sherman Alexie is skewering academic palaver, but is he at all serious? 20. When do the threads of the mystery start coming together? How is Wilson pivotal? (pp. 340-342). 21. Why does Wilson incur his fate at the end? Why does John wonder “if Wilson knew the difference between dreaming and reality. How one could easily become the other” (p. 403)? Is it possible that Wilson’s mutilation serves as a liberation for John? (p. 412). 22. 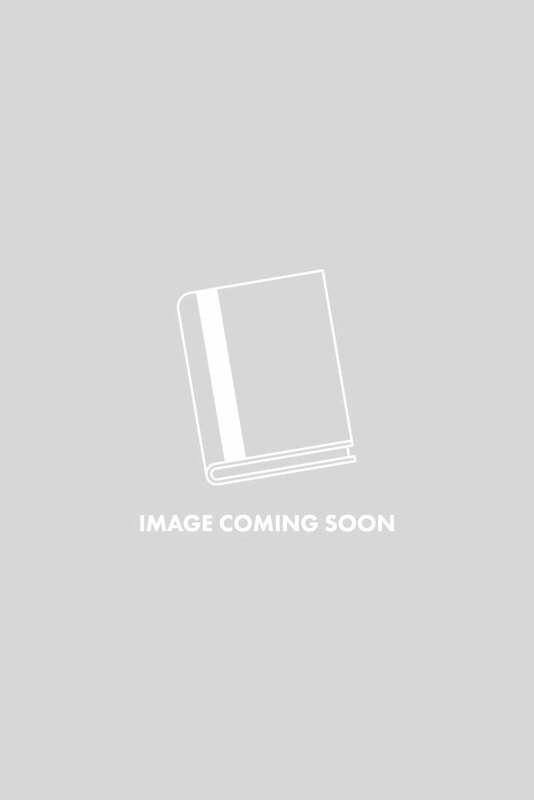 What are the apocalyptic implications of the novel? Consider “the last skyscraper in Seattle” (p. 24) as a concrete image. Disaster and doom pervade the book. “Within a few hours, nearly every Indian in Seattle knew about the scalping. Most Indians believed it all just racial paranoia, but a few felt a strange combination of relief and fear, as if an apocalyptic prophecy was just beginning to come true” (p. 185). What does this mean? Is John Smith a kind of Everyman when he walks alone at night feeling he “was the last person on earth” (p. 196)? 23. What is the result of the ambiguity at the end? Does it imply that blame cannot be fixed on one person? That violence may be in all of us, with hate, prejudice, paranoia, and vengeance? Is there a suggestion that we all need to pay attention? And take responsibility?